Divorced and planning to emigrate? Still unsure what to do? 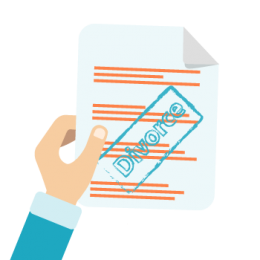 Thinking why do you need to have divorce certificate translation services? Let’s set this straight. You are planning to emigrate to another country which has a different working language of the country you currently live in. You’re legally married and had legal documents for that. When you decide to end up a relationship legally, you need to fulfill the official formalities, so that there is an evidence of your separation. This will show that you don’t have a legal relationship with anyone and a divorce decree translation will be needed. Some countries might have a policy that needs your divorce certificate, and all other legal documents related to it. To provide these, you need to have them translated. In the United States, you will need to use divorce certificate translation services in order to have your divorce translation done and certified. You will need a professional translator to do this for you. Here, the most significant thing to keep in mind is that you don’t only need a translator, but you’ll also need a legal consultant. And you should only be heading to a US translation company where they know how to take care of things in the most professional way. If a certified copy is needed, our professional translators will do this for you. 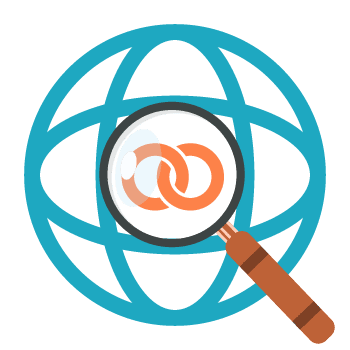 A certified translation is a translation accompanied by a stamped statement from the translation company, which declares that the document has been correctly translated and is accurate. If you’re dealing with USCIS, this is exactly what you need. We are inexpensive and we deliver high quality to you. Most documents are translated and sent back to you in 24 hours. When it comes to translation prices, we couldn’t find any agency to charge less than Universal Translation Services. We provide high-quality translations at the cheapest rates in the industry for this level of quality and the divorce certificate translation services are no exception. Feel free to lookup for yourself and ask around for quotes, you will want to save this page first because you will get back to us. The best part about our services is that we rely on the best translators for divorce certificate translation services. Our expert team includes legal experts as well, who provide comprehensive and valid solutions to our translators. 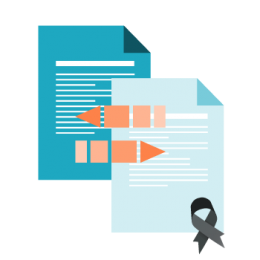 We believe that the translation of divorce certificates is a complicated task, and thus, our translators and proofreaders are always working with our team whenever such a detailed and delicate task comes up. Anyone in any city or state can easily order our divorce decree translation services and they can have their divorce certificate or decree translated and certified in 24 hours or less, sent to them by email. We can also send originals by post, although you won’t need originals at USCIS, which accepts electronic copies sent to them by email, or you can print it and hand it over to them, both ways are accepted. With all this, the main point is how and where do you get this done? Well, you don’t need to worry when Universal Translation Services is at your service. We can help you with translating all your personal documents including the divorce translation. All you need to do is, contact us via email, call us or use the live chat option on our website. You will be connected instantly with one of our project managers which will guide you through your queries. We prefer that you communicate all your doubts and worries about the translation. This way we can handle your work in a way which is comfortable for you. Alternatively, you can use our certified translation tool in order to get a quote in seconds without actually chatting with us. Later, when you are ready to confirm the order, your order will be put forth into the process. The translators and proofreaders assigned will work on your project in minutes. Our project management system allows you to stay connected to our translators while your work is done. When it comes to divorce certificate translation services, or translation for any other document, we believe in keeping you fully aware of the progress of your project. Each task that is placed as an order by the client is quickly analyzed and a quote is sent to you in minutes. The documents are received by a project manager through either of the three ways, via our tool, email or through live chat. Live chat is the fastest of these all. If you call us, the project manager can thoroughly make you understand the process, and emails can be exchanged too. As soon as the project manager receives the task, you will be sent a translation quote which you need to accept and make the payment. Once payment is received, a translator and a proofreader are contacted and assigned to the divorce translation job. The task is started right from that moment without any delay. While your task is being handled, our project manager remains in touch with the translator by using our translation management software and will keep you apprised with the status. In the case of a divorce certificate translation, we make sure that we work in accordance with the rules and regulations of USCIS. We also guarantee that all documents translated and certified by us will be accepted by any USCIS office in the United States. 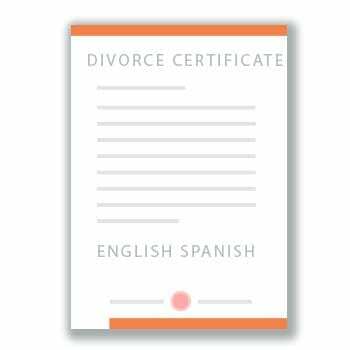 Do you have a divorce certificate translation from Spanish to English template? While we do translations from Spanish to English of any personal document like we do for any other language, we do not use a divorce certificate translation from Spanish to English template. we add the translation into the original template. 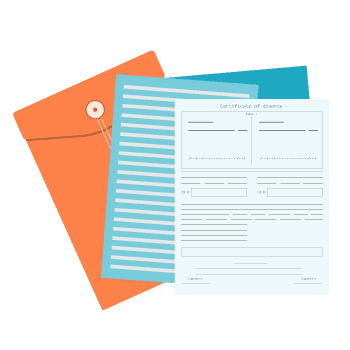 In the end, your divorce certificate translation from Spanish to English template will be the same as the original one, with all text translated. Please note that once we translate the text, we will send it to you in a plain document format, so you can review the names and the dates. This is when you can send us your comments about the translation, we will do the modifications, then add the translation into its original template, certify it, then send you the final version. Certified divorce translations from Spanish to English need to be done by using accurate terms and technical jargons. Universal Translation Services provides reliable Spanish to English and English to Spanish translation solutions which are completed as per the official formalities. Universal Translation Services has employed translators who have years of experience and are subject matter specialists as well. No matter how complex the document is, we can deliver accurate divorce translations within 24 hours. Furthermore, we have a flat per word translation rate and the translations are double checked before making the final delivery. Divorce certificates require a lot of attention and detail for which our translators follow the predefined rules and regulations to ensure best quality. As soon as your order has been confirmed, the documents are received by one of our project managers who make sure that the best suitable translator could be assigned to your project. With the help of our in house designed translation management system, project managers stay in touch with the translators in order to ensure best quality and accuracy. After the divorce translation is completed, it is sent over for checking and proofreading before delivering to the clients. Universal Translation Services offers certified translation solutions which are always accepted by the US immigration departments and follow the strict rules imposed by USCIS. No matter how complex the translation is, our expert translators will leave no stone unturned to accomplish every project. International divorce is when you appeal for a divorce in a country other than where your permanent home is or where you are living. You can get divorced in any country in which either of you are located now, as long as you can prove that you were married in the first place. Getting divorced is a judicial process; for international couples, there are significant legal factors that apply to divorces. Several of these factors involve questions of jurisdiction: Where should you file for divorce? What if your partner files for divorce in another country or state? An ex parte divorce happens when the partner who registered for divorce is present in the country and the other partner, who is not in the country, has been formally notified of the divorce proceedings. A void divorce is not acknowledged or executed in the United States; it occurs when one partner gets a divorce in another country without informing his or her partner. A practical recognition divorce happens when one partner is unable to objection the legality of the foreign decision because the objection would be forbidden under the conditions. 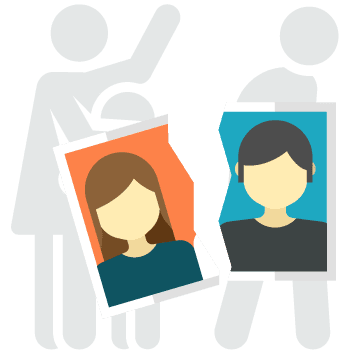 A bilateral separation occurs when both partners are physically present in the country where the divorce is registered, or one partner is physically present in the country, and a local divorce lawyer represents the other partner. If you and your partner live in the US, or if one of you lives in the US, it may be in your best interest to file for divorce domestically. But, in the US, each state has different divorce laws, so how do you choose the state in which to file? If you and your partner live together, the answer is likely the state in which you reside. But, if you live in different states, or if you have residences and other assets all over the country, you may need to make a decision. For instance, in some states, the law considers that each partner is allowed to half of the couple’s marital assets. In others, the courts focus on making an “equitable distribution” in light of the unique circumstances at hand. Whether it is an international divorce or a standard document and you need to have it translated into English we can help you. Our divorce certificate translation services are available at any time and we’ll give you the best price you can have. Why would you need your divorce certificate translated? There are several reasons you may need to get a divorce certificate translated, and here are the main ones. One reason has to do with the USCIS. If you are attempting to prove to the USCIS that you’re divorced, then you need to submit online your divorce certificate to them. If your divorce decree is in a foreign language, then it will need to be translated into English. If your divorce certificate is being presented to the court, it will need to be translated by a court-registered or court-certified translator. We have court-registered and court-certified translators who can translate your document for the court. 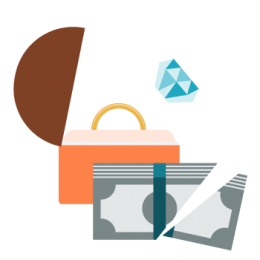 A business or any joint asset that you want to divide after the divorce. Any claim that you want to file against your spouse. UTS can provide translations for all purposes, to be used inside and outside the United States. 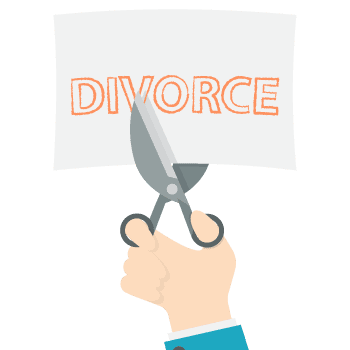 If you are looking for divorce decree translation services, we ensure that the quality will always be our primary concern. The project manager keeps you updated too. As soon as the task is done, the translation is sent to you by e-mail and you need to check the names and approve the translation. If you find any error or issues related to the translated document you can get back to us for corrections. The project manager will contact the translator and proofreader immediately and get the corrections done. After that, the final translation is sent to you by e-mail along with a certificate of accuracy. If you want to learn more about our process, see our translation steps page. We are even more cautious when the divorce certificate is being translated due to the legal implications being attached to it. We will make sure to satisfy your needs to the fullest. We have come a long way, and this journey has only been possible because of our happy clients. Divorce certificate translation is often required to complete the immigration procedure. As each country has unique rules and regulations, you need to make each document is translated accurately so that there are no problems in future. To migrate to the United States, the applicants are required to submit certified translations of every personal document to make their case approved. This is only possible if you have selected a reliable translator who understands the legal complications and accuracy needs of USCIS. So, if you are in search of reliable and accurate divorce certificate translation services, Universal Translation Services is surely one of the best options to be considered.